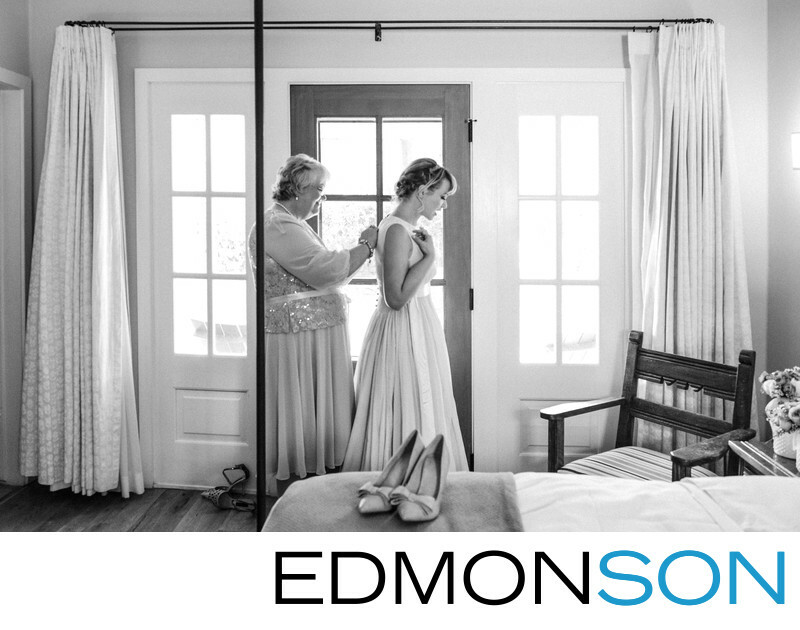 This sweet moment shows the mother of the bride helping her daughter with her final wedding day preparations. The historic Los Poblanos Inn & organic farm with it's famous fields of Lavender provides the perfect backdrop for a rustic outdoor wedding. 1/125; f/4.0; ISO 4000; 27.0 mm.